It’s that time of year again where ice cream is everywhere. There’s nothing better than enjoying a cooling ice cream after a long day in a hot office, and now you can do it without the calories and the added sugars! This recipe is SUPER SIMPLE! It has just one essential ingredient. I’ve known about this idea for a while, but never tried it. 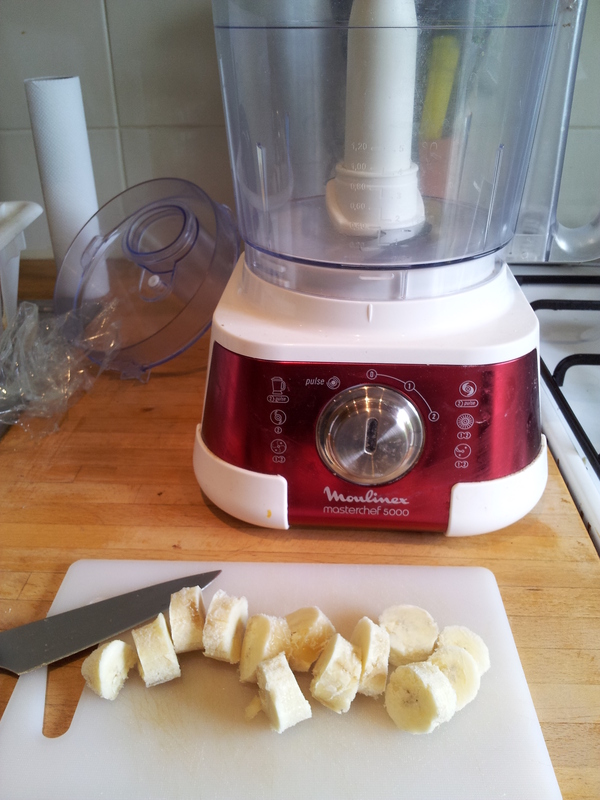 I tried it last week and now I’ll permanently have bananas in my freezer, and when you taste this you’ll find out why! It actually tastes like creamy, ice cream. Suitable for just about anybody; those watching their weight, those with lactose intolerance, vegans, children, even babies! Plus you can vary it and make it “more gourmet” by adding in different things. Healthy, cheap, tasty and sooo easy to make! You’ll need a banana and a food processor. 1. Peel the banana, slice into coins and freeze in an airtight container or freezer bag (a couple of hours should be enough but overnight is best). 2. 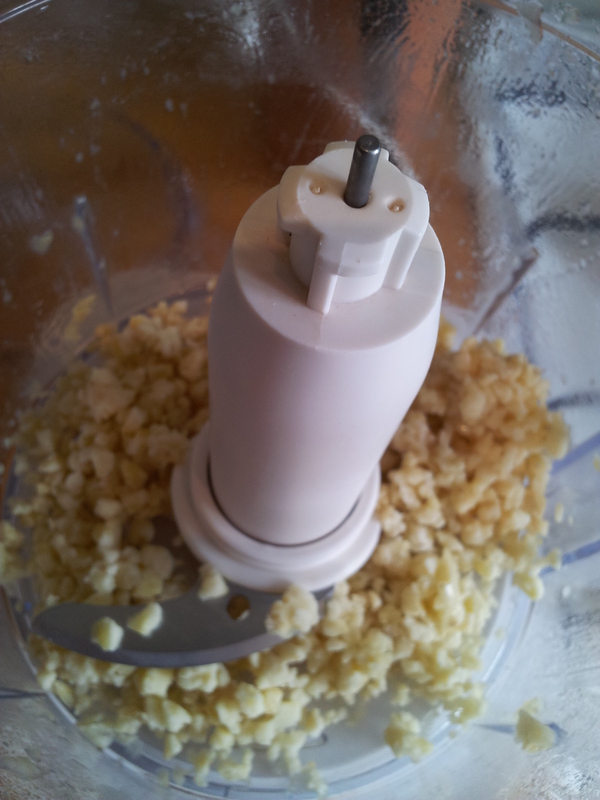 Pop the banana slices into a food processor and blend. 3. First, they’ll appear crumb-like (see picture >>). Use a soft spatula to scrape the bits off that are stuck to the sides and keep going! 4. Once your bananas are becoming smoother, you can add in other ingredients if you want (see below for ideas). 5. Keep blending until your bananas (and extras) resemble a smooth, creamy texture…like ice cream! 6. You can enjoy it immediately, or you can put it into an airtight container and put it back in the freezer until it becomes more solid. Do let me know what you think and if you try adding in different things!